UVA redshirt freshman guard Amandine Toi (Paris, France) will miss the 2018-19 season, head coach Tina Thompson announced Friday (Nov. 9). Toi will have surgery on her right knee after sustaining an injury during practice. Toi missed the entire 2017-18 season with a left knee injury. 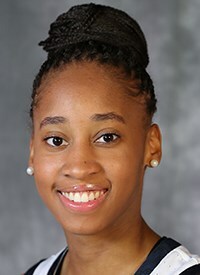 Toi was a member of France’s U19 Junior National Team and played for Team France since making her national team debut in 2014 as a member of the U16 squad. She helped lead the French squad to a fifth-place finish at the 2017 U19 FIBA Women’s Basketball World Cup and also competed in the 2016 Women’s A Division European Championships.